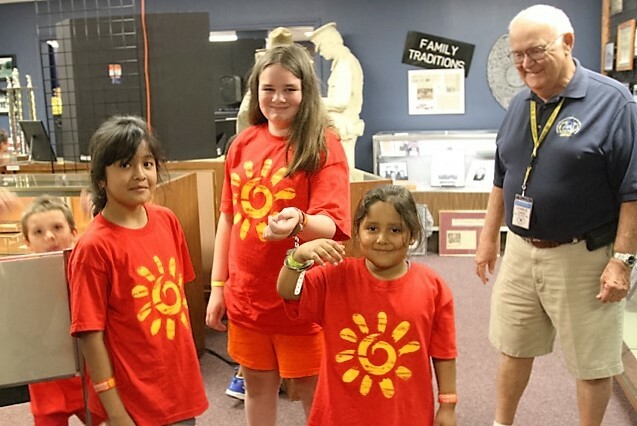 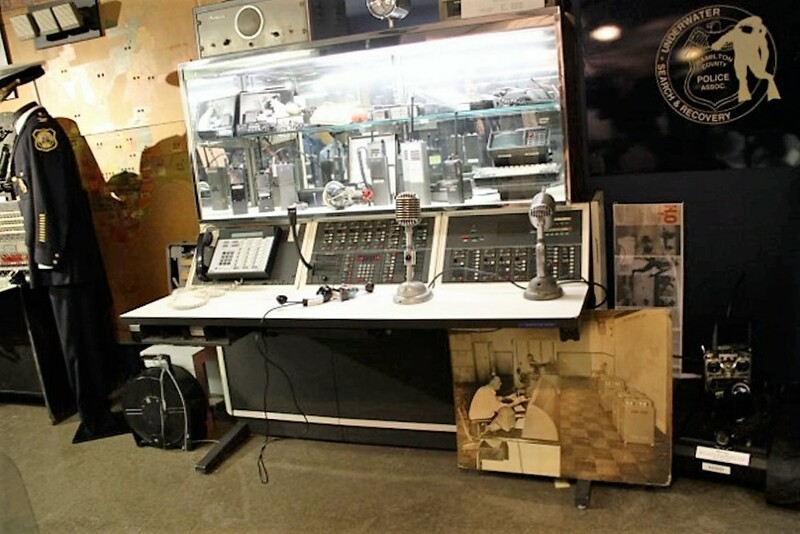 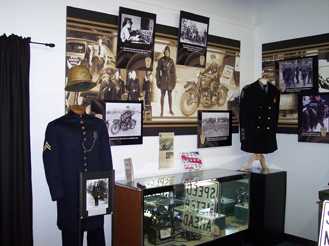 A tour of the museum will walk you back in time through its numerous displays. 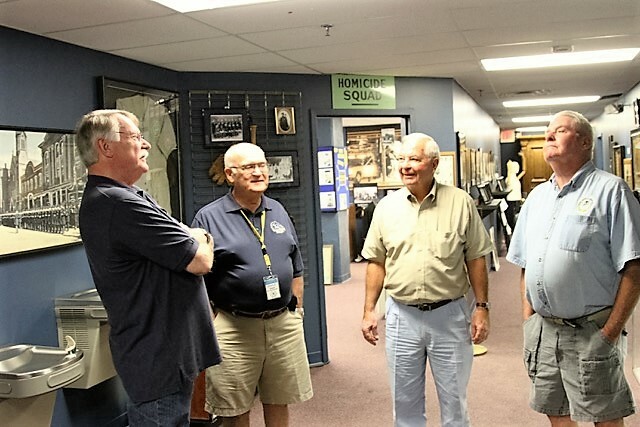 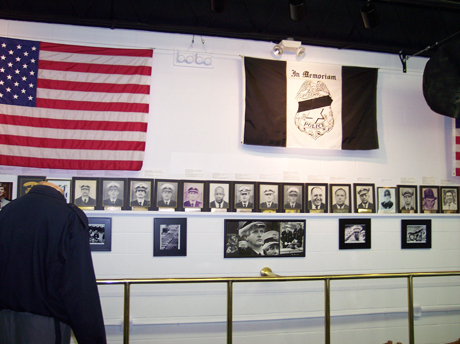 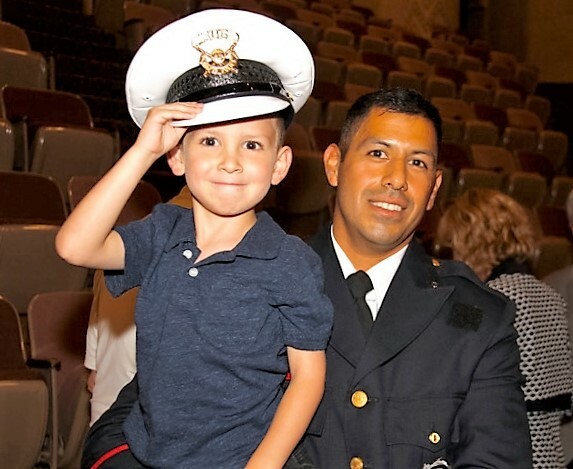 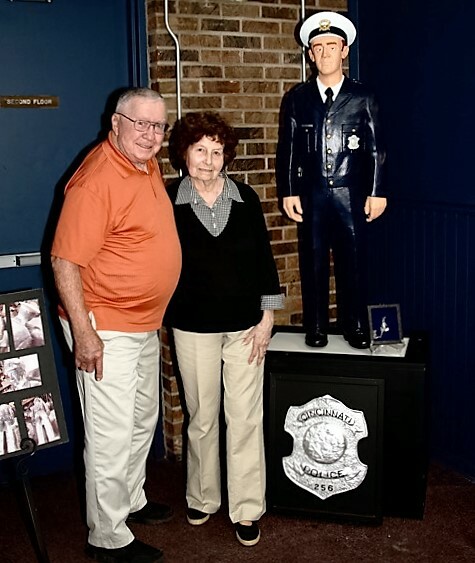 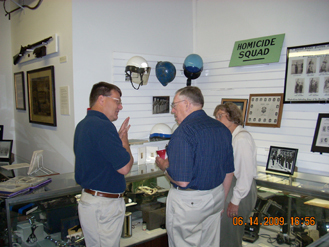 Docents include active or retired police officers and civilians who will share their memories with you. 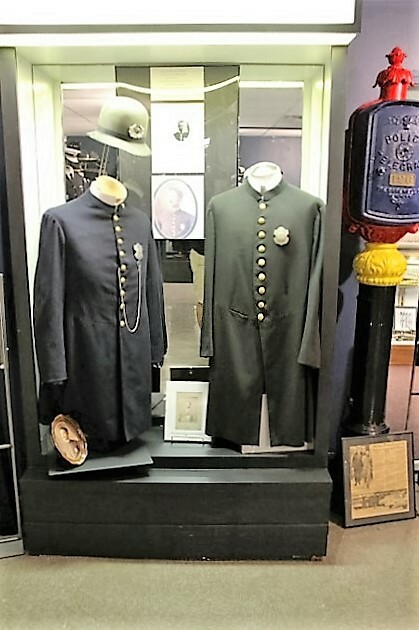 See the transition from the old to the new styles of uniforms while learning about the men and women who wore them. 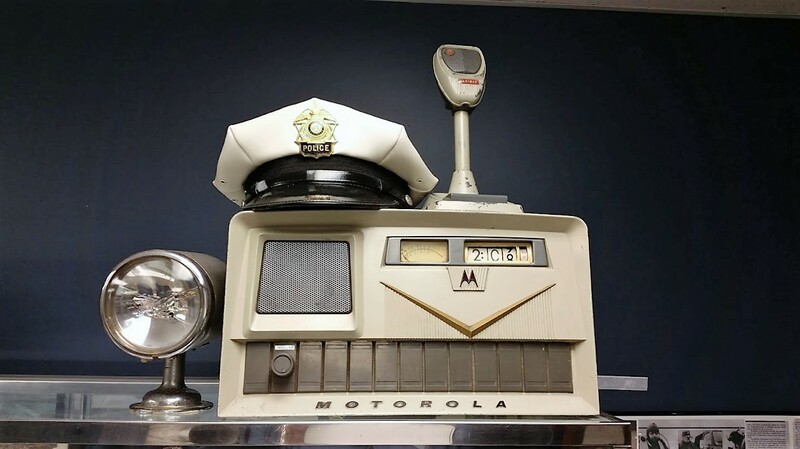 A base station from Woodlawn PD. 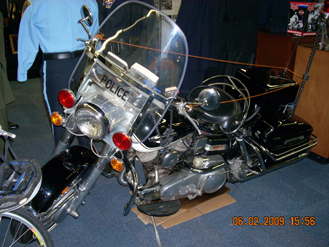 A 1965 Harley Davidson Electra-Glide “Police Special” formerly in the fleet of the Newport, Kentucky, Police Department. 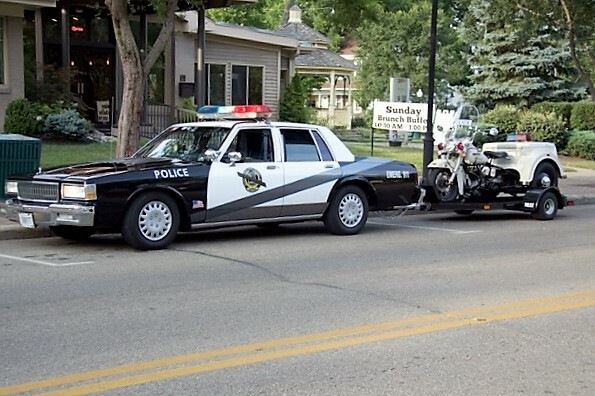 The odometer shows 39,000 miles. 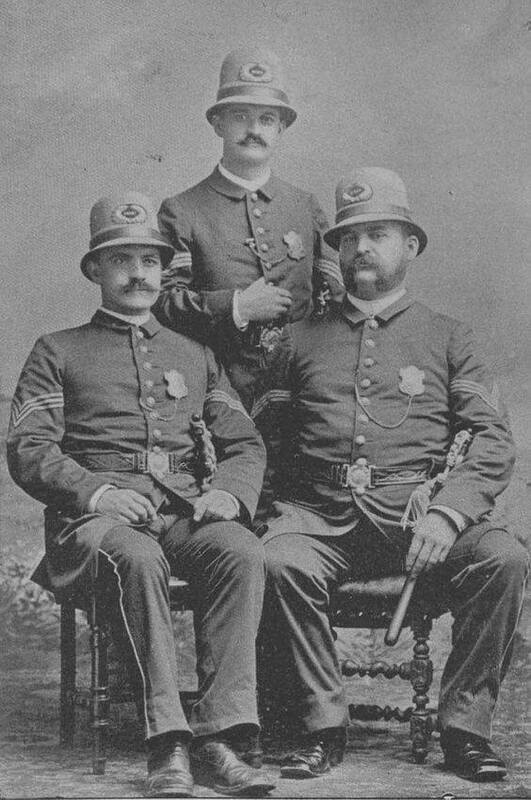 The sergeants of Cincinnati’s Fifth Police District in 1890: John H. Kiffmeyer, Louis Schmitt, and Edward C. “Doc” Hill. 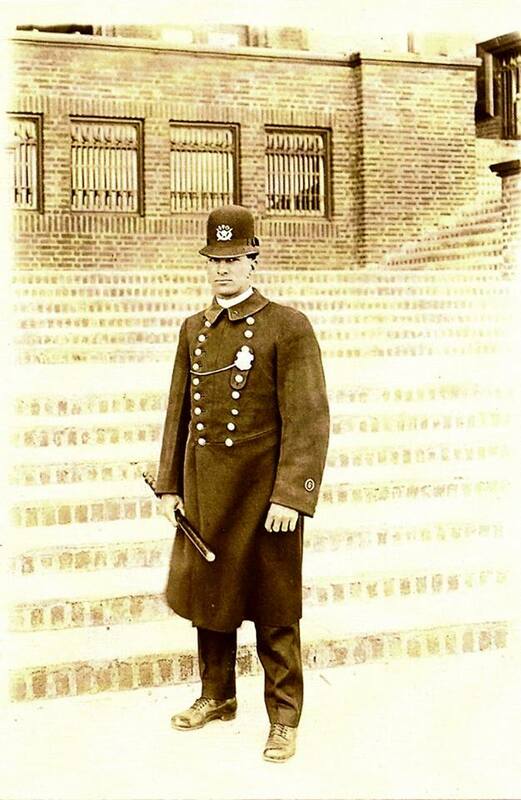 Sergeant Hill was called upon to portray Santa Claus at Christmas. 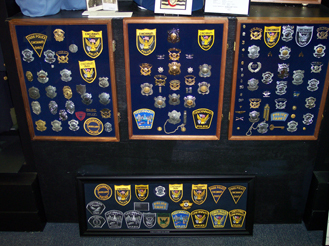 Collectors have loaned their caches of badge and patch collections to the museum to share with our visitors. 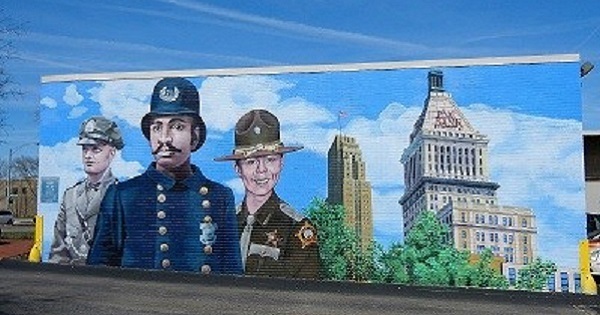 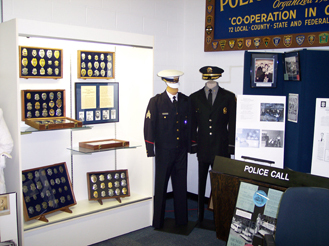 The Hamilton County Police Association has been a very important promoter of law enforcement educational television and Countywide policy, technology, and cooperation. 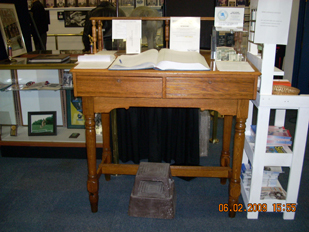 “Blotter Desk”, circa 1890, where the blotter (diary) of each station was kept. 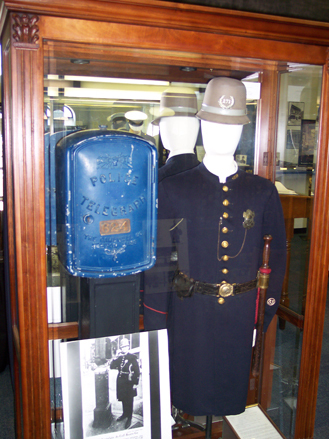 This one was restored to original condition and now holds the museum blotter. 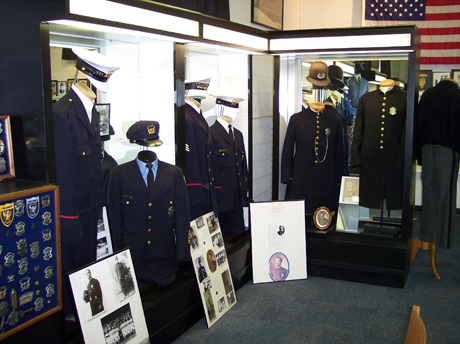 Retired Cincinnati Lieutenant Steve Kramer is a very knowledgeable docent and currently serves as Museum Director. 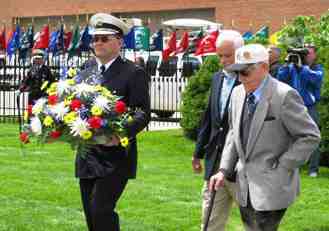 Major John Seebohm marched in Police Memorial Parades, in uniform, until his death at 94. 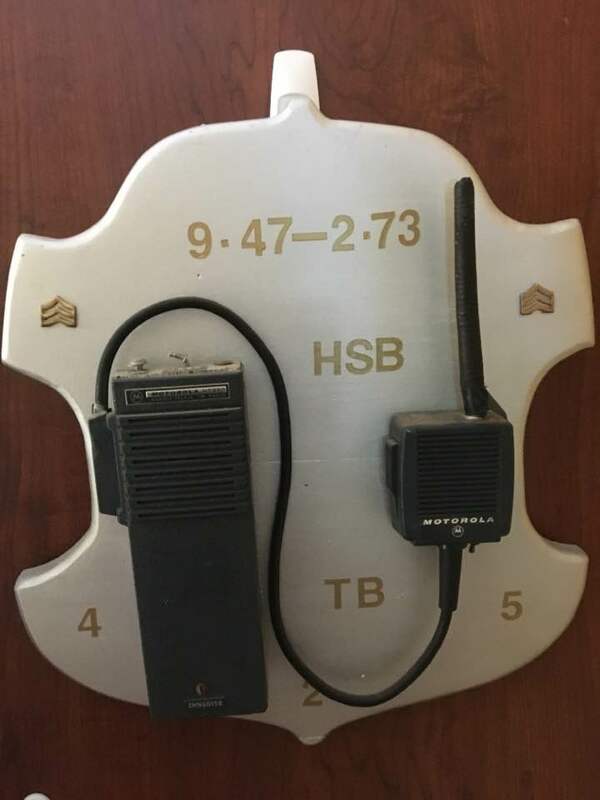 He also made the very last call box call at 92. 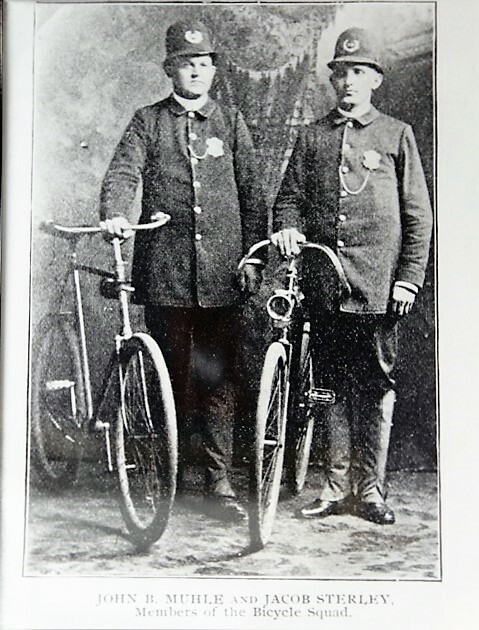 Pictures of our protectors in times gone by. 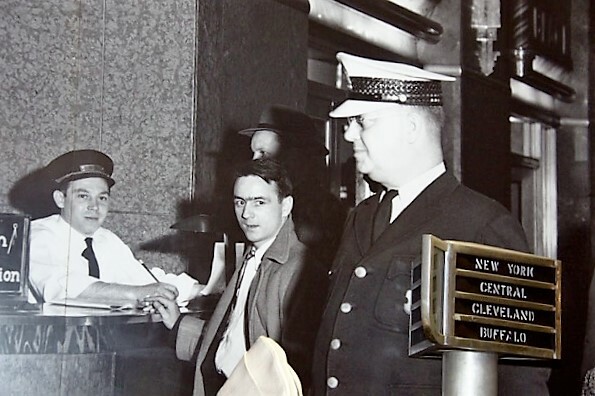 Times have changed. 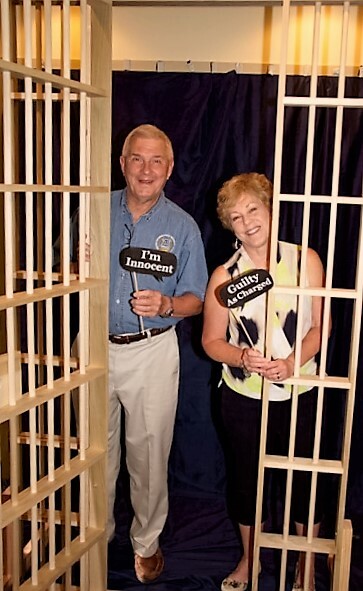 Imagine what the stories are behind each photo. 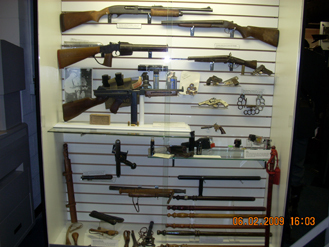 Weaponology- shows many of the weapons used by local law enforcement in doing their job everyday. 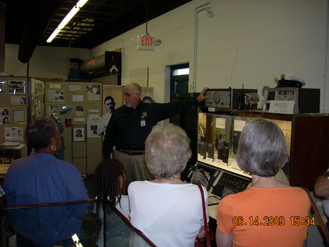 , Curator, Detective Dic Gross, at the front door, welcomes a special group tour. 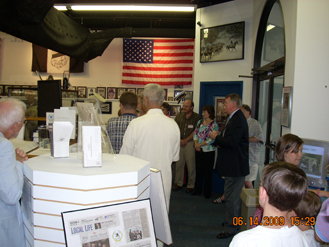 Special group tours are always welcome and available by appointment. 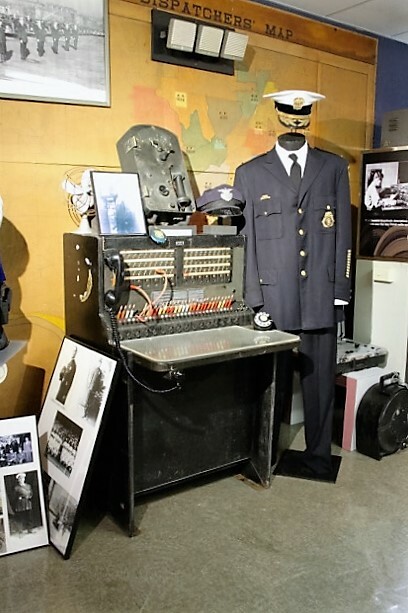 Our communications display shows how far technology has advanced the methods used to dispatch police, a vital tool in today’s law enforcement community. 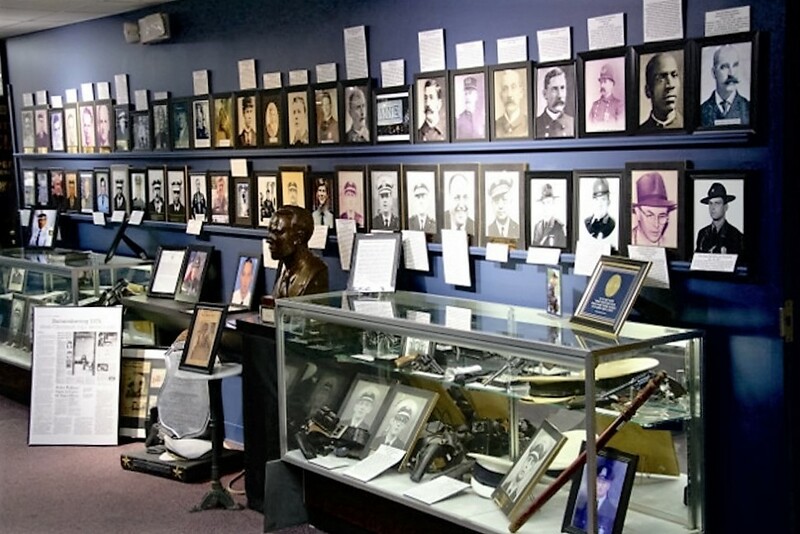 Many riots occurred over the years in Cincinnat, but none more deadly than the Courthouse Riot of 1884. 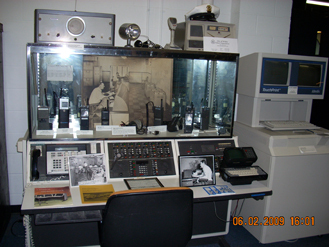 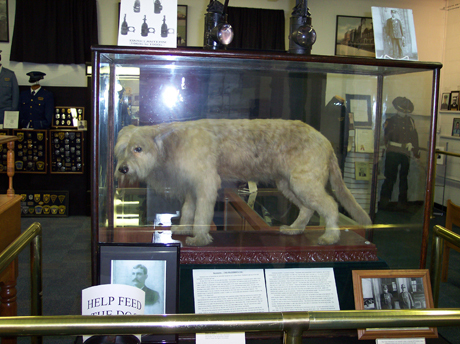 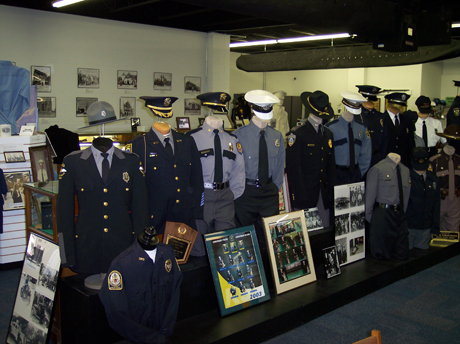 Three of the departments represented in the Museum including the state patrols in Indiana, Kentucky, and Ohio. 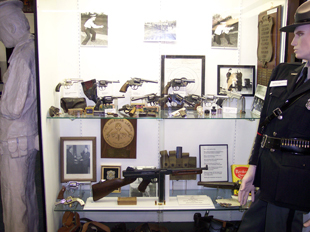 The museum has collected a sampling of the firearms used by area law enforcement from the 19th Century to present. 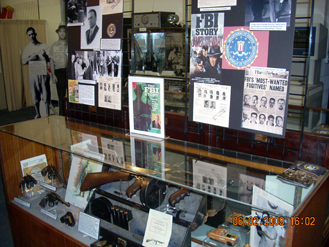 The Director of the FBI loaned to the Museum a portion of their artifacts on a long-term basis. 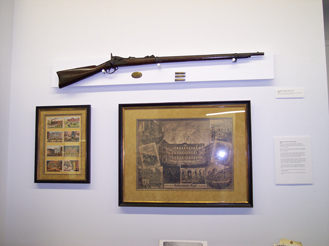 Displays include depictions of what it took to protect our territorities in times long ago. 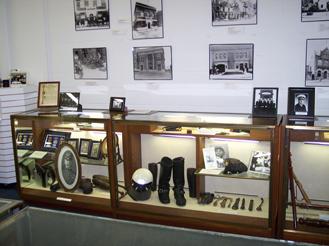 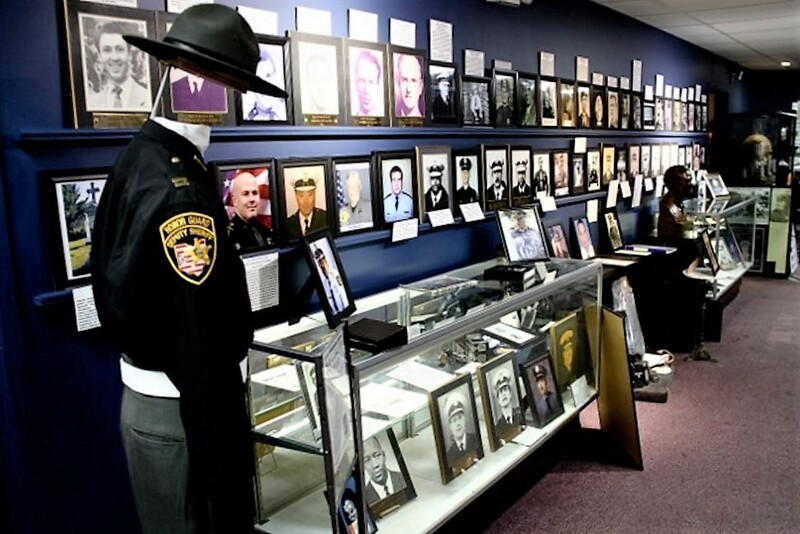 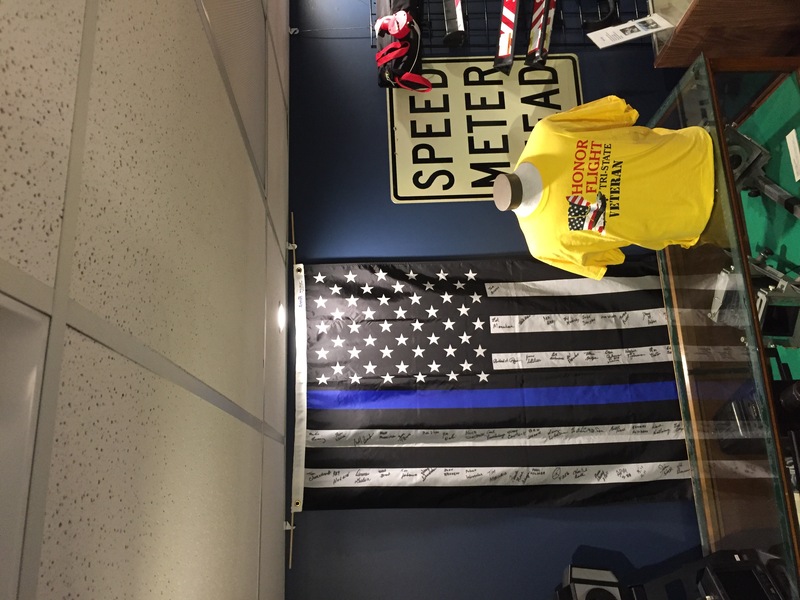 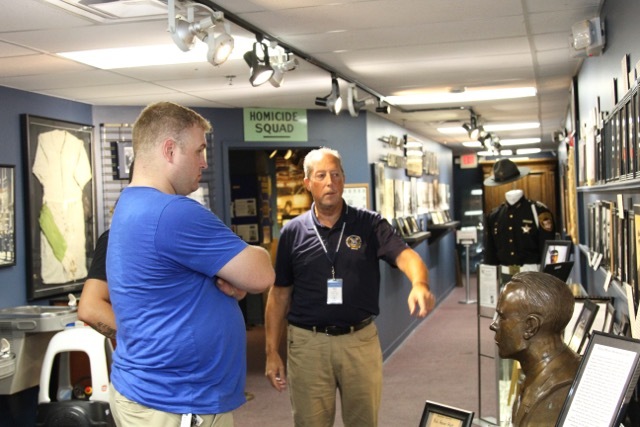 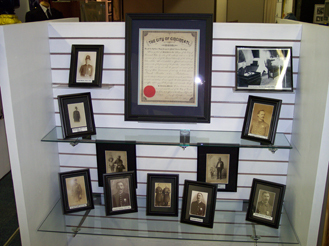 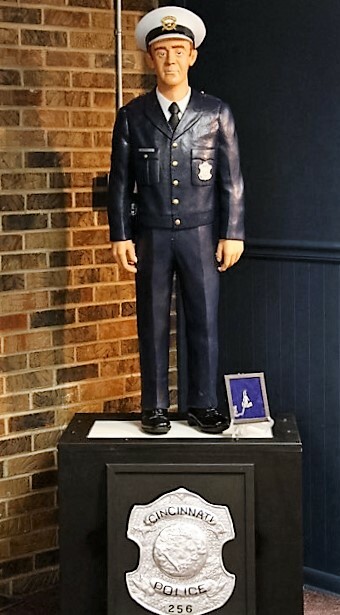 Many police officers today will recognize the historical items on display in our musuem. 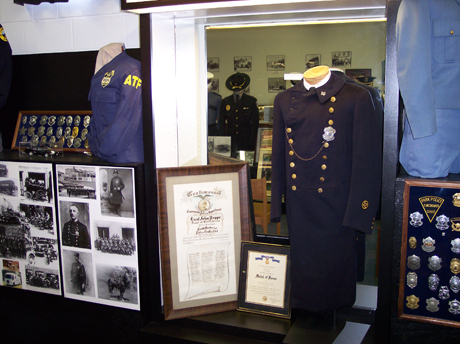 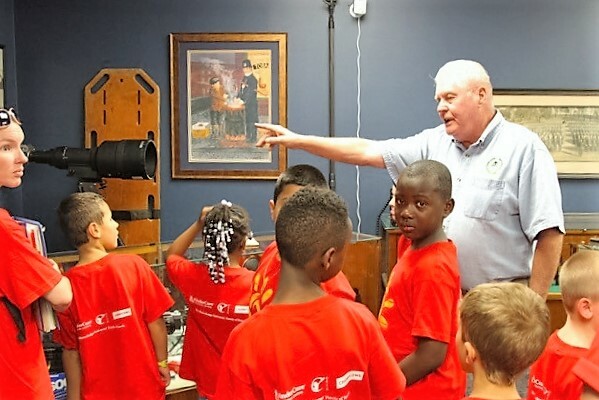 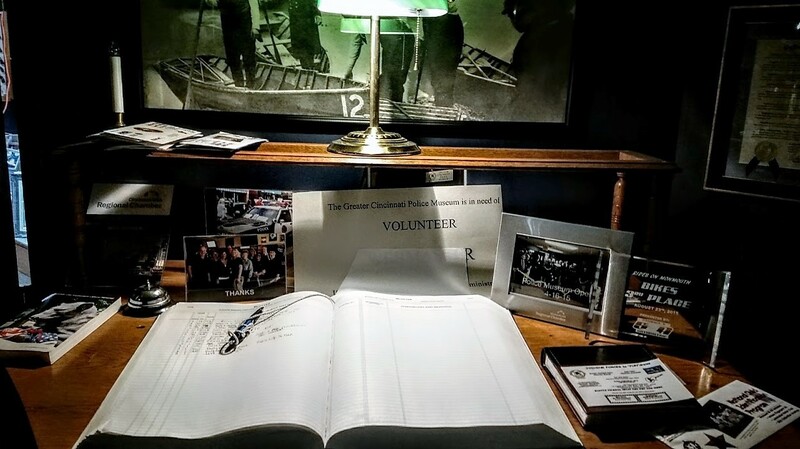 Active Cincinnati Police Lieutenant is another docent and serves as the Greater Cincinnati Police Historical Society’s president. 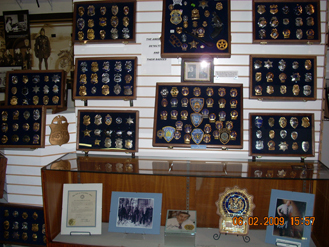 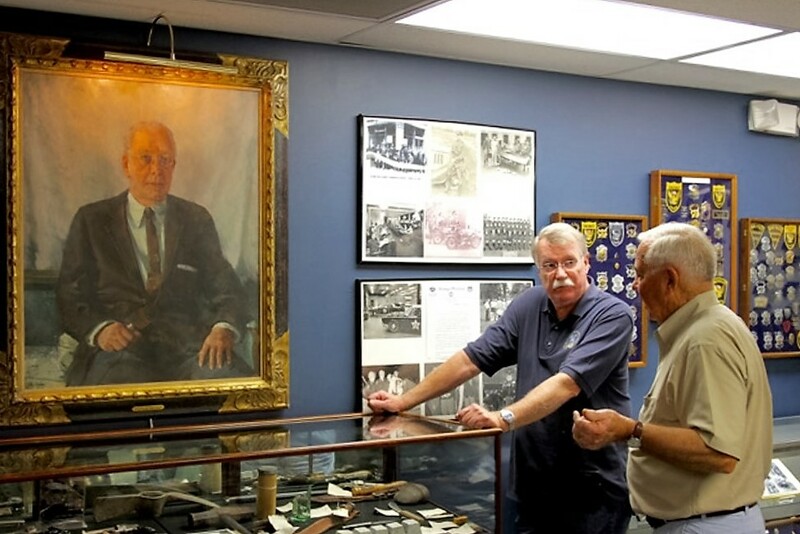 The Museum houses the largest American Detective Badge collection in the nation; and probably the world. 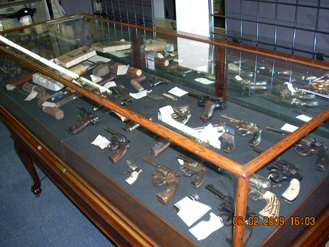 Display of murder weapons from the personal collection of noted local defense attorney William Foster “Foss” Hopkins. 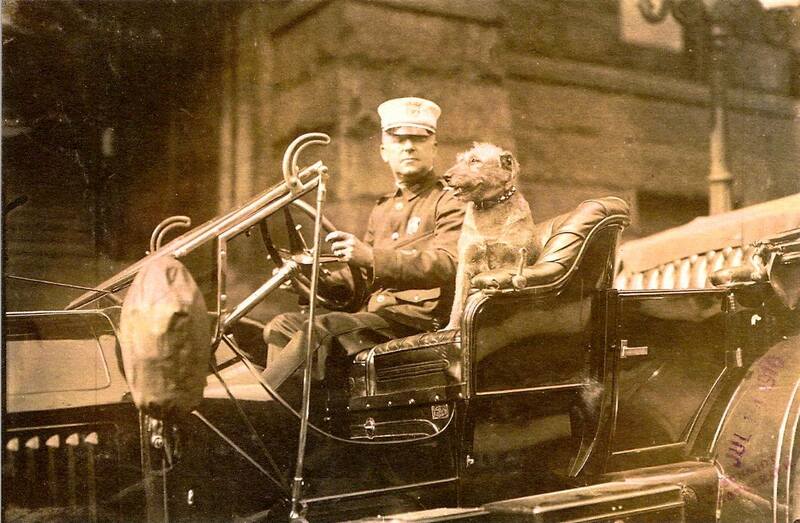 “Handsome” is the first unofficial, self-taught canine of the Cincinnati Police Department. 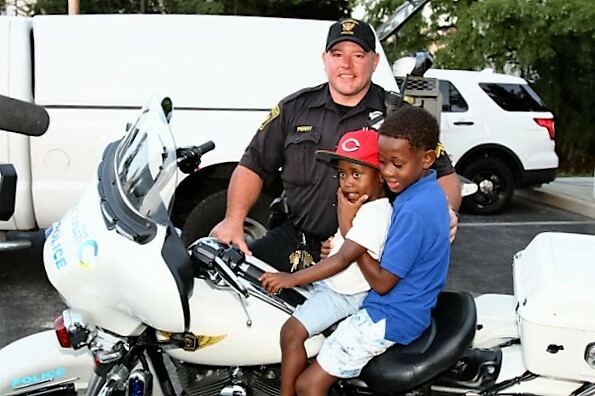 He was so respected, the Police Chief would let him ride in his car during parades.. 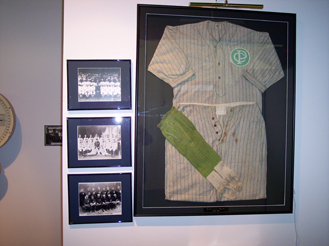 Were you aware that the Cincinnati Police Department at one time sponsored a team of semi-professional baseball players?